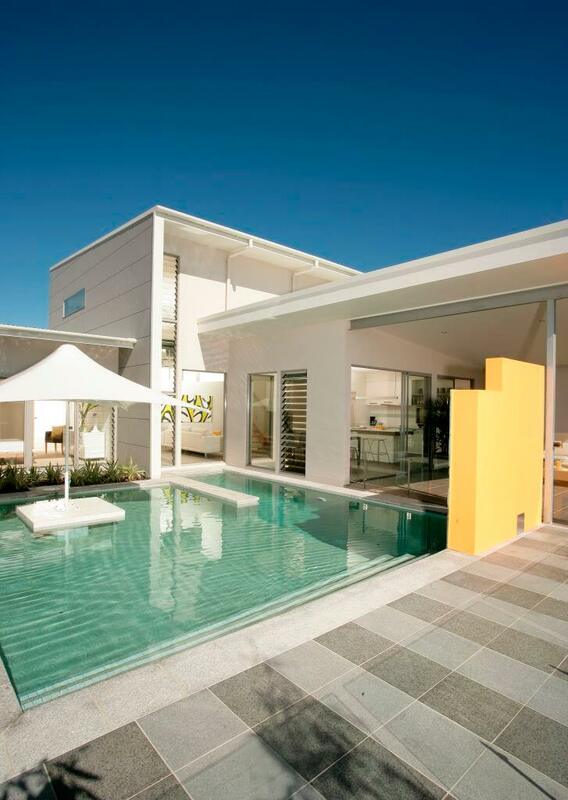 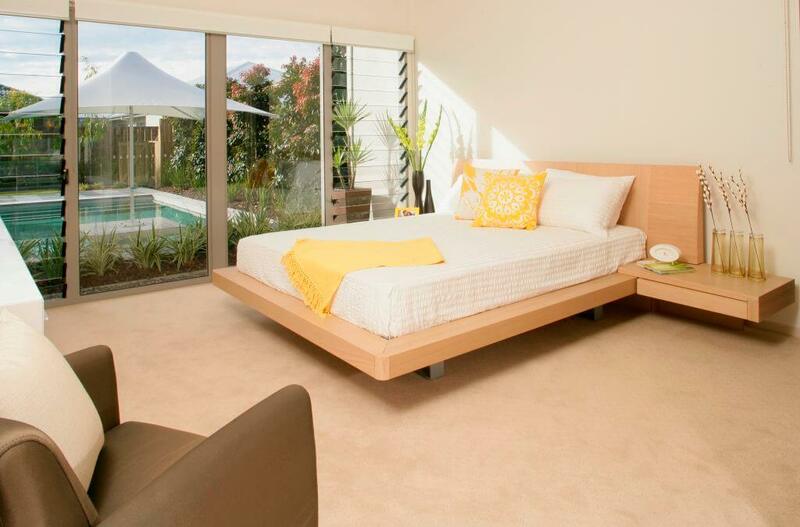 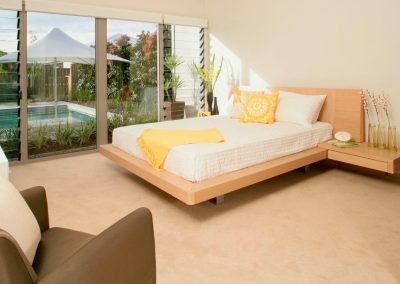 Stunning in appearance, this Kawana home has been designed for easy living. 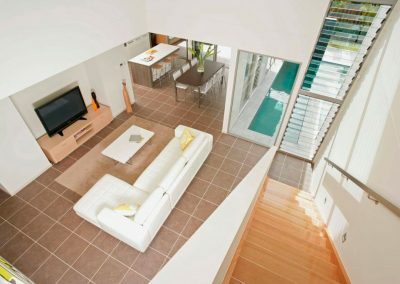 Altair Louvre Windows help to maximise the flow of natural light and fresh breezes into the house through the use of a large void in the entry and living area. 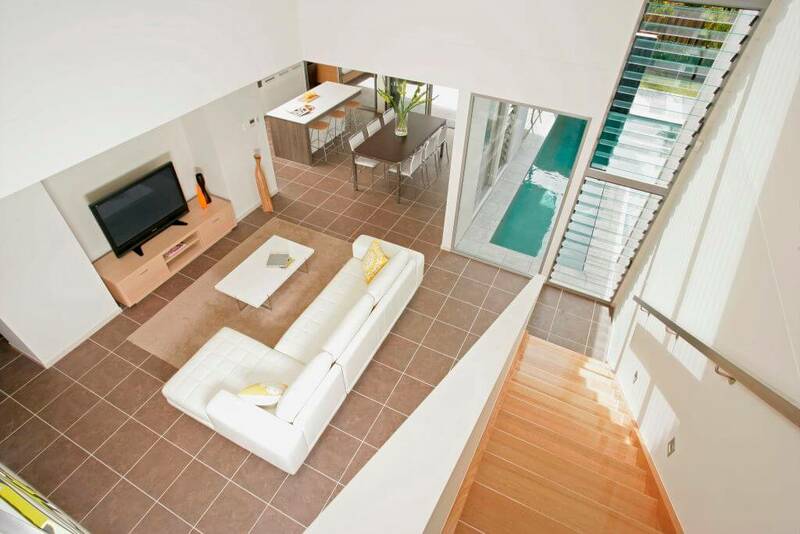 These wide open spaces bring about a feeling of spaciousness and the strategic placement of Altair Louvres opposite the stairway allows fresh breezes to flow up to the second level to help ventilate the area naturally. 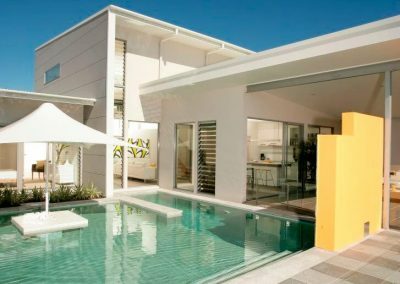 This home also features long views across the integrated pool and garden area so building occupants can live in luxury and enjoy their natural surroundings from both inside and outside the house.